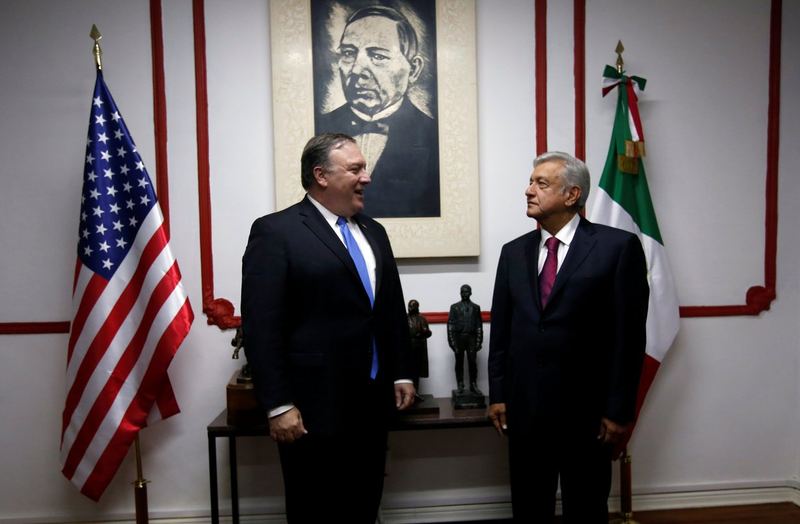 The newly elected Mexican president Mr Andrés Manuel López Obrador (pictured with US Secretary of State Mr Mike Pompeo) informed his countrymen of his decision to cut his own salary by 60 percent. As from now, the president will only earn some 108,000 pesos a month after taking office as the new Mexican president in December, or about $5.7k per month at the current exchange rate (tellingly, it is also less than half of the 270,000 pesos that his predecessor, the current (and highly unpopular) president Enrique Peña Nieto, receives in his bank account on a monthly basis). AMLO, as the new Mexican President’s acronym is known, furthermore decided that as from his entry into office no one employed in the public sector should earn more than the president during his six-year term, In other words, 108,000 pesos per month is the 'López Obrador standard' for public services in Mexico. Mr López Obrador claimed he could even cut it down more but that it would become difficult to attract good staff from the private sector or the academic world as his employees as they often earn a lot more. “What we want is for the budget to reach everybody,” he claimed. As promised, AMLO is trying to root out corruption in Mexico, a country that ranks highly on the list of most corrupt Transparency International countries. Socialist's gotta eat, even though he couldn't just donate his entire salary back to the people to one up that gringo Drumpf. now goywater is shilling literal communists too?